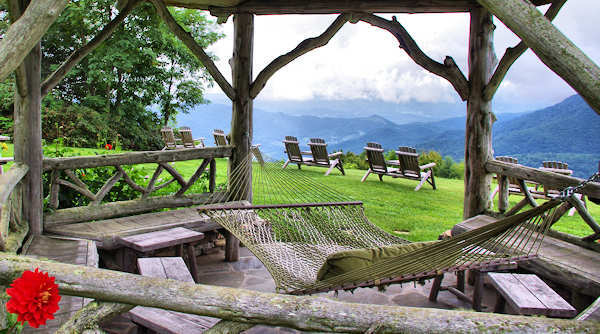 Adjoining the Great Smoky Mountains National Park, this luxury hotel's rooms and private cabins at 5,000 feet elevation are individually decorated and include many amenities atop a ridge overlooking the mountains. 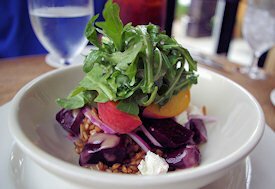 Dining is an event, prepared with the finest local ingredients and produce from the inn’s garden. 45 minutes from Asheville. 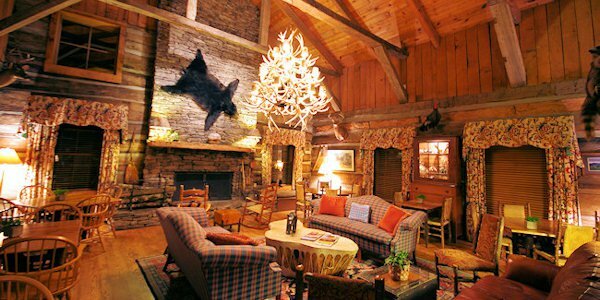 15 rooms, suites and cabins. $520-$875/night including three gourmet meals & many amenities, many balconies and fireplaces. With their remote lofty perch at the end of a two-mile private drive, you will not want to leave. Find places to enjoy their endless views and plenty of pampering. Go to their Web site. The main living room in the main Swag House is a former country church from Tennessee. They bought the log church, dismantled it and built their living room with the circa 1795 logs. Gooseberry Knob is their prime picnic spot. On Wednesdays, enjoy their over-the-top picnic there. On other days, they supply you with a picnic basket or backpack lunch. 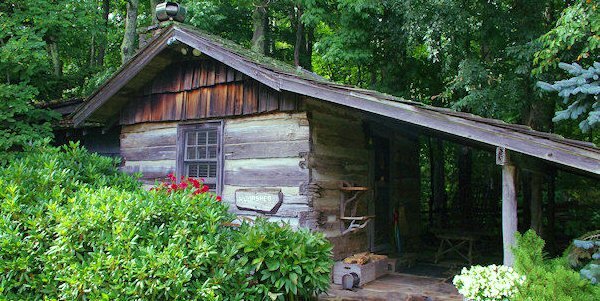 In addition to rooms in the inn, stay in one of their luxury log cabins - complete with steam showers, outdoor showers and personal saunas. The Swag is open mid April through mid November. Be sure to make reservations well in advance, especially for weekends.